As I mentioned in my 7 month post, today I officially began my 21 day cleanse that eliminates all alcohol, sugar, caffeine, gluten, and (wait for it – – – ) animal products. I plan to keep a diary during the next 21 days and will make one post summarizing the experience for those of you interested. But, in honor of the commencement of the cleanse today, I just wanted to post that Scott ate his first sugar-free/gluten-free/VEGAN meal tonight…AND LIKED IT!!! Good thing because there are 20 more days to go! 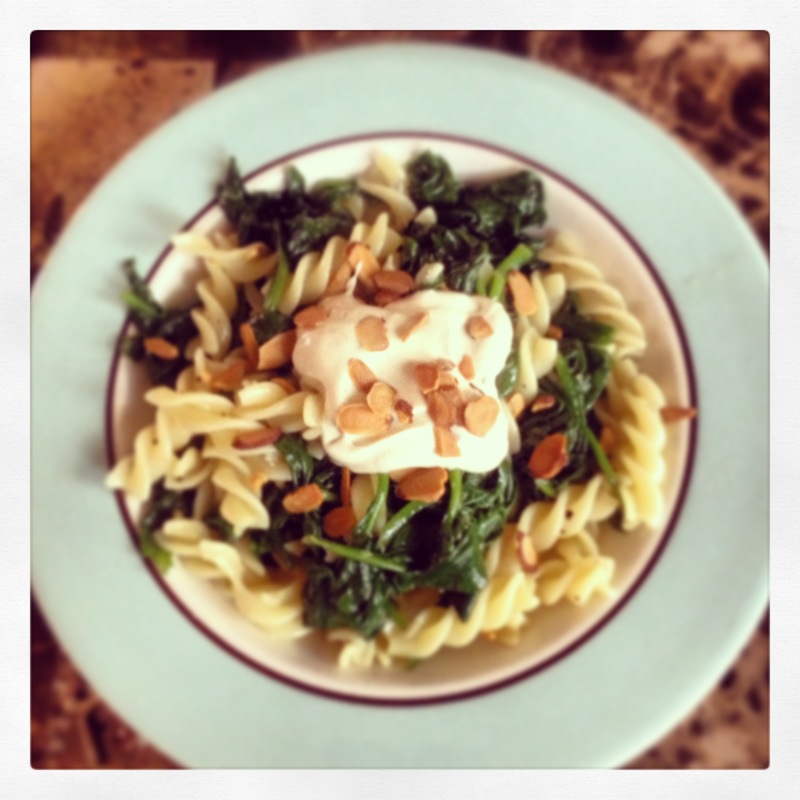 Recipe below for the Spinach Pasta with Creamy Parmesan Sauce & Toasted Almonds. PS. The Vitamix rocked the sauce! Next Post Boom Babba Boom!